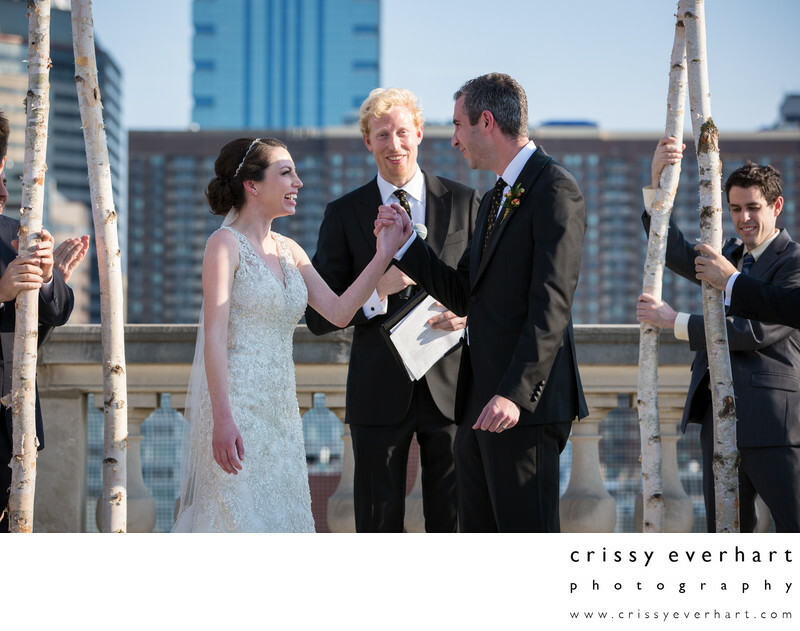 Pronounced married on Philadelphia rooftop! This bride and groom stand under the chuppah and smile, just after they shared their first kiss after he broke the glass! They are at the Parkway Central Library, part of the Free Library of Philadelphia, on the rooftop patio.